C.T. 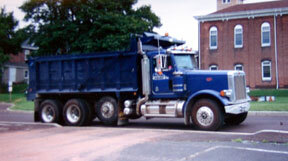 Cox, Inc. is a full service excavation company headquartered in Pottstown, Pennsylvania. We are fully insured and possess the necessary bonding capability for both small and large projects. C.T. Cox, Inc. offers a full range of excavating, pipe and utility installation, and general earth moving activities. We perform these services for residential developers, municipal and industrial customers, and commercial contractors. C.T. Cox, Inc. has been servicing residential and commercial customers successfully for over 15 years. C.T. Cox, Inc. looks forward to bringing our unique combination of safe, timely, and cost effective services to your project.